Design diamond engagement ring or your own diamond jewelry. Jewelry Central offers engagement rings, wedding rings, certified diamonds, fine jewelry, certified loose diamonds, settings, stud earrings, pendants and bracelets. Do you recommend Jewelry Central? Jewelry Central is a famous online retailer that sells diamond engagement rings<, anniversary and wedding rings, certified loose diamonds, solitaire pendants, tennis bracelets, diamond necklaces and bridal jewelry. The company also offers comprehensive tutorials on gemstones and birthstones with numerous charts, pictures and informative descriptions. Based in New York's historic diamond district and founded in 1999, the company strives for 100% customer satisfaction and provides customers with free shipping and 30 day returns. As an additional convenience, google checkout and paypal are available as alternate payment methods. Being unique in its industry, the company has been featured in Time Magazine, CNN and Encyclopedia Britannica. Due to the excellent customer service, this company receives many referrals from customers and allot of repeat business. Jewelry Central offers you outstanding value by bringing you the greatest selection of fine jewelry directly from our network of manufacturers to your front door. Unlike most online jewelers, we bypass the middlemen in the traditional distribution channels, and pass on savings of 40-70% to our customers. Our industry partnerships guarantee that our customers receive the greatest selection of only the highest quality fine jewelry at below retail prices. Choose from thousands of certified diamonds< and numerous ring settings crafted in gold and platinum. 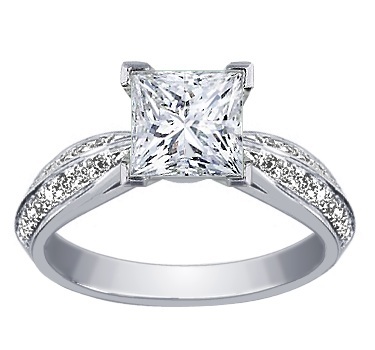 We also offer a wide selection of high quality pre-set diamond engagement rings in classic and modern styles. Every loose diamond comes with a diamond grading report from a well respected independent laboratory such as the Gemological Institute of America (GIA) or the American Gem Society (AGSL). 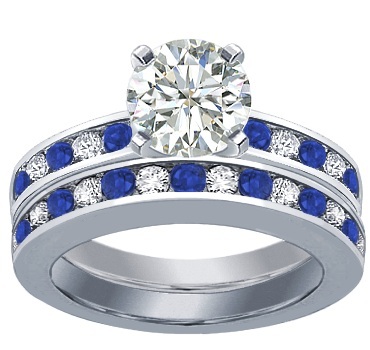 You will find the perfect engagement ring at Jewelry Central. Create your own jewelry with certified diamonds in easy steps. We make it simple for you to design your own diamond engagement ring, three-stone ring, diamond stud earrings, solitaire pendant or three-stone pendant. With our advanced diamond search tool, you will find an outstanding diamond to match up with a setting from our extensive collection of classic and contemporary styles. After you select your setting and diamond, just add the design to your shopping basket to build your own creation. Find the perfect diamond with our unique diamond search tool. Choose from thousands of certified loose diamonds by color, clarity, cut, carat weight and price. Every loose diamond is accompanied by a diamond grading report from the GIA or the AGSL, which are two of the most highly respected diamond grading laboratories in the world. You can match your diamond with a setting from our exclusive collection to create the perfect engagement ring. Jewelry Central is pleased to present women's diamond wedding rings, classic wedding bands and anniversary rings crafted in gold and platinum. Complimentary appraisal certificates are included. We guarantee that your ring will be of the absolute finest quality, and offer a 30-day return policy, free shipping and outstanding customer support. Jewelry Central is proud to present an extraordinary collection of fine quality gemstone and diamond jewelry, engagement rings, wedding rings, pearl, platinum, silver and gold jewelry at outstanding prices. Find beautiful rings, earrings, bracelets, necklaces and pendants for any occasion. Our jewelry is crafted in 14k and 18k white and yellow gold, 950 grade platinum and 925 sterling silver. Jewelry Central offers a wide selection of diamond earrings<, studs and gemstone earrings in gold and platinum for any occasion from our fine jewelry collection. Complimentary Appraisal Certificates are included. Jewelry Central is proud to present a fine collection of high quality bracelets and bangles at outstanding prices. Our bracelets are crafted in white gold, yellow gold, platinum and sterling silver. Jewelry Central offers beautiful necklaces and pendants of all types crafted in silver, gold and platinum with diamonds, genuine gemstones and pearls. Complimentary Appraisal Certificates from Jewelry Central are included. Your Jewelry Central reviews help others learn about this business nature. Best reviews about Jewelry Central are passionate and personal. They offer a rich narrative, a wealth of detail, and a helpful tips for other Jewelry Central customers. Please don't review Jewelry Central if you received a freebie for writing this review about Jewelry Central, or if you're connected in any way to the owner or employees of Jewelry Central.